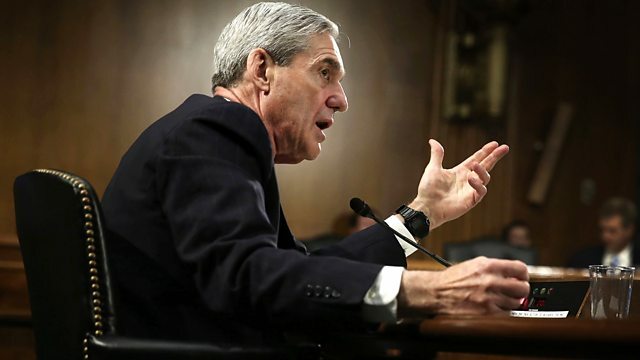 BBC Radio 4 - The Briefing Room, What's in the Mueller report - and what are the implications for US politics? The investigation has taken nearly two years, cost tens of millions of dollars, and led to dozens of criminal charges. Now, a redacted version of Robert Mueller’s report into whether Russia interfered in the 2016 US Presidential election is going to be delivered to Congress. This week David Aaronovitch and his guests in the Briefing Room examine what’s in the report, and what does it all mean - especially for Donald Trump and his prospects for winning a second presidential term next year. Has President Trump delivered on his campaign promises?